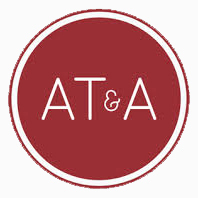 AT&A are absolutely focused on ensuring our clients get their claims paid. Insurance policies are very complicated legal documents and as a consequence it’s easy to be caught out by ‘the small print’. To ensure our clients are reassured that the policy cover we have arranged is accurate and transparent, we employ a Policy Technician. Very few corporate insurance brokers employ policy technicians whose sole role is to double check policy wordings accurately reflect the intention of the protection we have agreed with underwriters. So what are the benefits of a policy technician? Ensuring that the small print doesn’t catch you out. It’s rarely the obvious that’s a problem in insurance claims; it’s the less obvious. Each insurance policy (most businesses have several) is on average the same size as a small novel at approximately 30,000 words of legal jargon! Our technician checks and raises awareness of aspects of the wording to watch out for. Ensuring that cover meets your needs. In the event that you need to make a claim, the last thing you need is to discover that the policy won’t respond. Our policy technician reviews all policies with a fine tooth comb to ensure that your insurance company hasn’t added in any warranties, conditions or onerous wordings without our knowledge. The technician also has a much greater knowledge of the various insurers wordings and helps our account managers make sure the policy cover is placed with the best insurance market. Our policy technician is dedicated solely to ensuring your cover is as comprehensive and airtight as possible. They’ll never get pulled away to deal with other issues. Their exclusive focus on policy also allows us to double check we are fully complying with FCA regulations in respect of our service to you. Understanding the minutiae of insurance policies allows our policy technician to prevent duplication of cover and helps us negotiate maximum benefits from insurers. This, in turn, helps us to pass on the most competitive premium possible. If you’d like to understand more about the role our Policy Technician plays in your account please contact your Account Director. 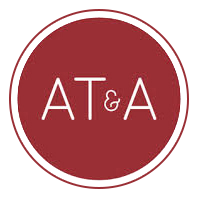 If you’d like to see how a Policy Technician might help with your cover, call our office on 01473 727800, email us at info@ataib.co.uk, or tweet us @atains.